When Mohannad Alshalalda left his home in Palestine to attend an international school called United World College, he had no plans to talk to Israelis, much less become friends with them. But when he met the school’s Israelis in person, a strange thing happened: he found that he could no longer hate them. It was one thing to hate the idea of an Israeli, and quite another to hate an Israeli when they were standing right in front of him. Over time, he and Ido David, from Israel, began to talk about their differences in the Israeli-Palestinian conflict. While they could not reach a consensus on everything, they could reach a consensus on a surprising number of issues. Thus, with this inspiration in mind, they decided to plan a peace conference together. The conference grew. In six short months, we became a team of nearly twenty people, from Botswana to Hong Kong. ​Each member realized the immense potential for conflict resolution through unmediated dialogue and discussion. Together we became a force to spread the profound possibility of global harmony. There were many ideas, but there were a few tenets that stood out. First, that the conference was idealistic. That was exactly what would give it its power. Second, that the conference would be focused on youth. We would value any expertise offered to us, but ultimately, it is youth that are the future, and youth who can create a peaceful world. The conference was founded on dreams, but hard work built it into a reality. In each conference, we will have a different focus, delving into topics with more nuance. And yet our main tenet remains the same. With enormous hard work and perseverance, with cooperation, flexibility, and understanding, peace truly can become a reality. ​​"I have come to cherish the fact that we all need peace. In fact, to me that is the human endeavor that should be sought in our solidarity. Two years ago, when I was still in Bhutan, two people came into my life. Little did I know that they would have such a lasting influence on me! They were the unlikeliest of a pair: one was from Sri Lanka, a Buddhist, and one was from Romania, a strict Catholic. The fact is that they were not even a couple; what brought them together, and that too, so fruitfully, was the unmistakable, mutual interest of bringing intercultural understanding and ethnic education to the global forefront. The seminar they gave on “Ethnic education: Learning to Live Together” brought a new dimension to my world ideologies: that if there is respect, responsibility and empathy, peace is indeed possible. Now, that made me think of the teeming millions who, oblivious of their right to peace, are deprived of that very necessity. The question then, was not, “Should I do it?” but rather, “How shall I do it? 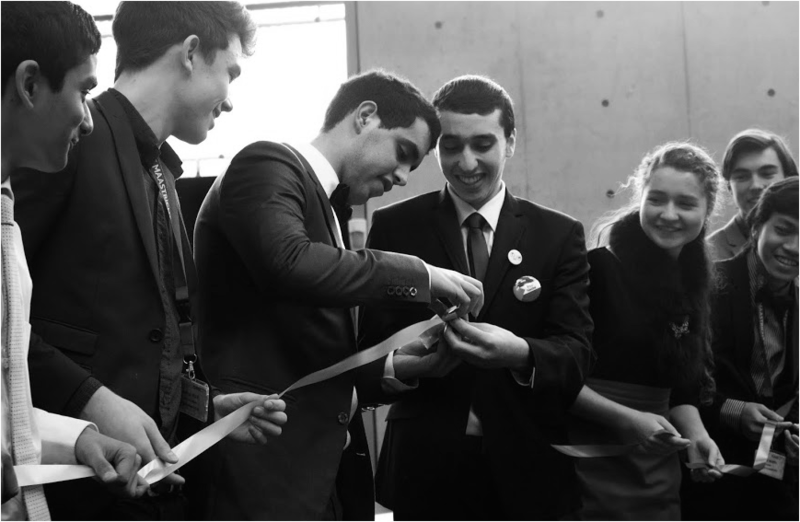 So, when Mohannad said he was going to start a peace conference, I was excited to get involved, because I could see the enormous possibilities from being able to channel my ideas and energy into something helpful, something that would make an impact. I did join his group, and straightly away, we started working on this wonderful undertaking we call the International Peace Conference. It does seem that everything happening to me has indeed been leading up to this very climax. In many ways, I take pride and immense duty in this endeavor. Having been able to know what real peace ideally means, I understand that peace is one thing we all need. As a global citizen, this aim is just simple common sense."